This page provides an overview of the A' Design Award Winner Logo license given to awarded designers and brands to highlight themselves with good design. Prior studies shows that "Design Award Winner" logo, when placed on products (or product packaging) results in higher sales and higher value for the products being sold. 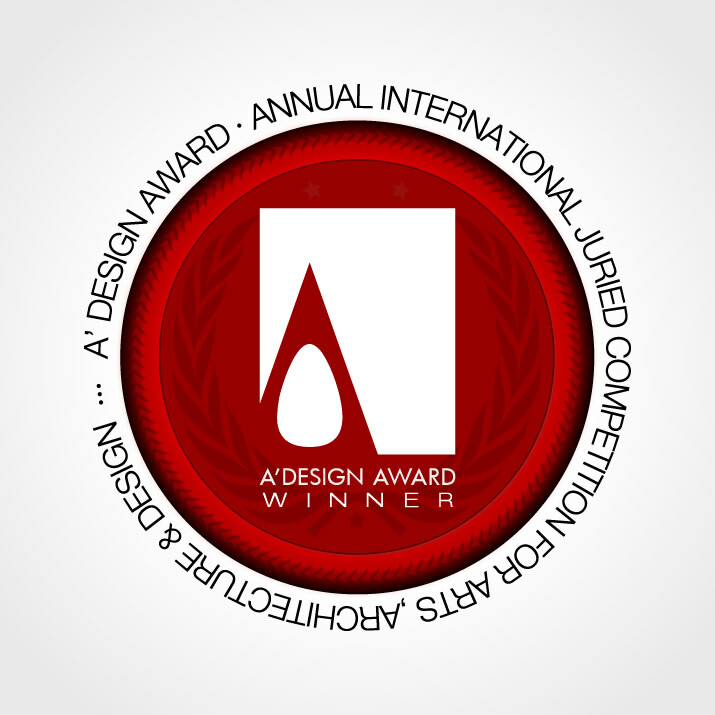 When used for communication and marketing, the A' Design Award logo provides credibility, respect and peer recognition. Highlight your design excellence by displaying the globally recognized A' Design Award logo that receives billions of impressions each year. A' Design Award winners are able to use and integrate the "Design Award Winner" logo to their marketing and communication without yearly fees as a part of our no further fees policy; while other prestigious design awards could charge yearly fees, the A' Design Award and Competition does not charge any yearly fees, and provides high-resolution logos to all design award winners without exception. Companies use place and use these logos to products and product packaging to improve overall value, while designers often integrate the design award winner logo to their communication and portfolio to improve their brand value. Laureates also integrate the logo to their marketing materials, advertisements and websites. All winners use the A' Design Award winner logo to distinguish and highlight themselves as pioneers of good design. A' Design Award & Competition has several logos and badges that are licensed to participants for lifetime free usage. Distinct logos and badges are available for winners, participants and runner-ups. First of all, there are the Award Status Logos that indicate the result of the competition. Next, there are logos with QR functionality embedded into them to prove that the design is a winner of the A' Design Award, finally product designs are granted right to use the Prime Design Mark to indicate good design in addition to the Design Award Winner logos. We have a page here that provides further images and color variations of the logos. Nominee, Participant, Runner-Up, A' Award Winner (Iron A' Design Award), Silver A' Design Award, Bronze A' Design Award, Gold A' Design Award and Ultimate A' Design Award. Furthermore, winner companies can use "A' Design Award: Winner Company" logo, likewise instructors, faculty members and countries can also use the specialized logos. The traditional "Award Winner (YEAR)" logo is suggested to be integrated to your marketing. Most companies will integrate this logo to their packaging or catalogs, as well as a part of their email signatures. Winning A' Design Award could be compared to obtaining a quality certificate for design. A' Design Award logo could be used during marketing campaigns to highlight the inherent design quality of the products and designs. Winners use the A' Design Award logo during trade-fairs and events, as they help attract further attention. Winners also integrate the A' Design Award logo to their catalogs, video-presentations, product-brochures, post-cards, flyers, websites, news communications, press releases, to the products themselves, to social networks, biographies, and product advertisements. The Prime Design Seal and Prime Design Mark scheme was started to promote good design practices among companies by providing a solid reference for customers while making their purchase decisions. The Prime Design Mark which signals good design is awarded to products or services that meet a certain level of original design quality, which positively differentiates the awardees from commoditized offerings. The quality criteria are based on the form and function of the licensed product or service. If a product has a prime design mark, it means, the awarded design is considered a good design; it has a better, distinct form or function that aim to improve the customer satisfaction. Prime Design Mark are granted only for award winning product designs that are already in the market or will be released to marked. 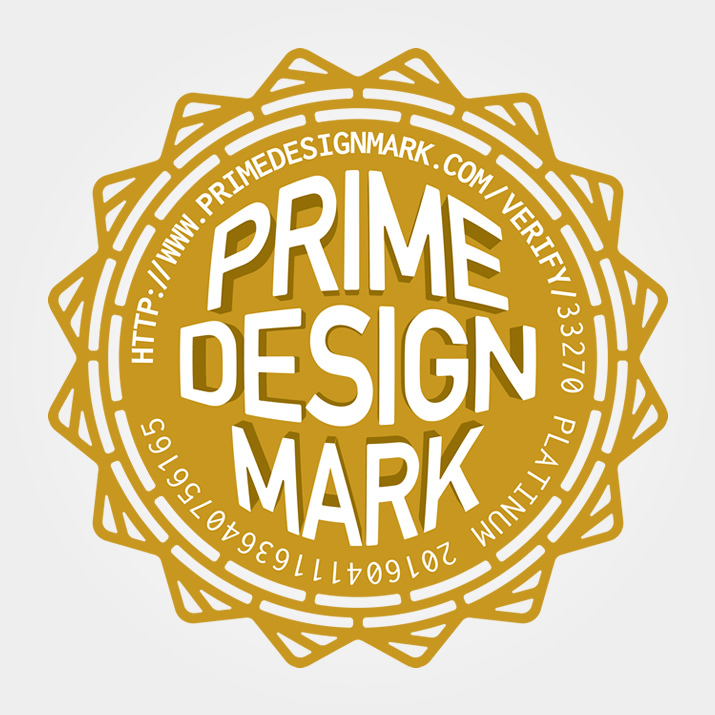 Prime Design Mark is provided free of charge to eligible A' Design Award winners upon physical inspection of the product, please kindly note that not all applicants might be given the logo. The logo also includes a verifiable licensing identifier to make sure that it is only used in an authentic way. Winners can download high-resolution, transparent background, QR-Integrated or vector version logos directly from their control panel once they are granted the award. The A' Design Award does not ask yearly licensing fees; i.e. the logos are granted free for the lifetime of the awarded projects or entities. 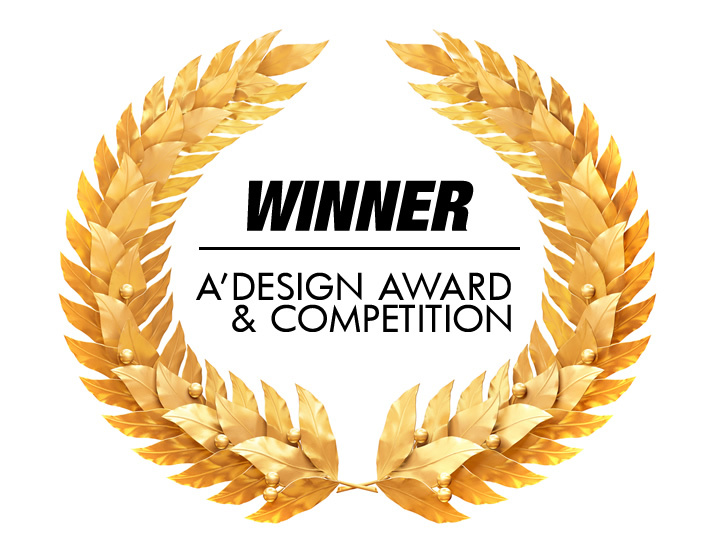 If you are an A' Design Award winner, click here to access to high-resolution download of the design award winner logo. A' Design Award & Competition Laureates are able to freely use the A' Design Award Winner Logo for their communication and marketing to help them distinct themselves by good design.